One of the greatest gifts we can give young children as we introduce them to technology is the ability to work side by side and imagine the impossible. As Christine prepared for her visit to New Jersey, we knew this was an opportunity to embrace this idea! The mindset of this project stemmed from a writing prompt that children in Christine’s class would be completing in January asking them to write about the winter. Depending on the background knowledge of the child, the season of winter could mean many things. Winter in California certainly looks quite different than it does for the children who experience it in New Jersey. As we bring our classes together, we often notice the ways in which children’s understanding of the larger world is deepened through our shared experiences. 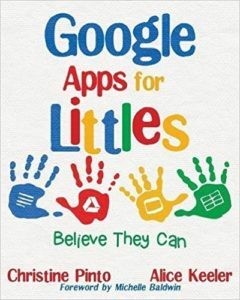 In the past this has come in the form of videos, books, live chats, collaborative apps, and shared hands-on experiences. This time we wanted to support the children in taking what they have learned about winter weather, and truly personalizing the experience. 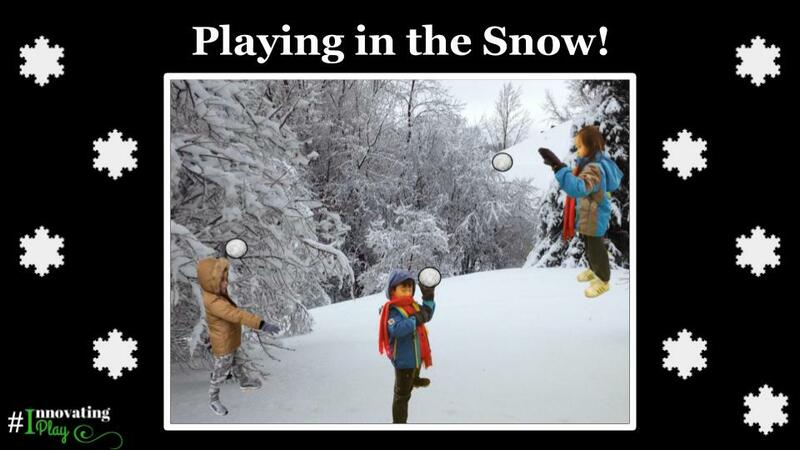 It is from this that the Invitation to Play in the Snow was born. The child’s ability to visualize and imagine is central to the quality of the play experience. It is through rich play that we prepare children to create mental images necessary for reading, writing, mathematics, science, design thinking and problem solving. 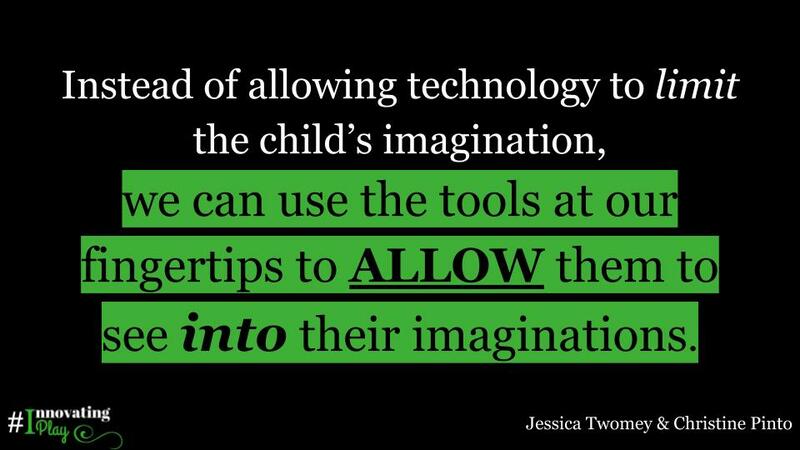 Instead of allowing technology to limit the child’s imagination, we can use the tools at our fingertips to ALLOW them to see into their imaginations. As we consider possibilities for play, technology gives us tools for visualization that allow for concrete representations of the seemingly impossible. It is through the creation and participation in these experiences that children are able to use the final product to deepen their ability to visualize and explore ideas. As children had the opportunity to SEE themselves in the snow with their buddies 3,000 miles away, they also saw the limitless possibilities and potential for what they could create and experience together. 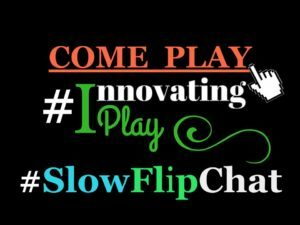 This entry was posted in 18-19 Kinder Collaboration, Google Slides, Innovating Play, Kindergarten by Christine Pinto. Bookmark the permalink.